Report served the U.S. Army and South Korean Navy. I was on board the Report for a time in 1966 - 1967. She was used as the mother ship to a small flotilla of boats operated under the auspices of Army Intelligence (a contradiction in terms). Our chain of command was strangely convoluted. For the purposes of pay, supplies and personal l matter we received all such materials through the 111th Military Intelligences Bn in Seoul, Korea. Our mission orders and all other matters were directed by the U.S. four-star general [Charles H. Bonesteel III] who wore the multiple hats of Commander U.S. Forces Korea, Commander UN Forces Korea as well as Commander U.S. Army Pacific. This created heartburn for the commander of the 111th, as he had to pay us and feed us but couldn't tell us to do anything. 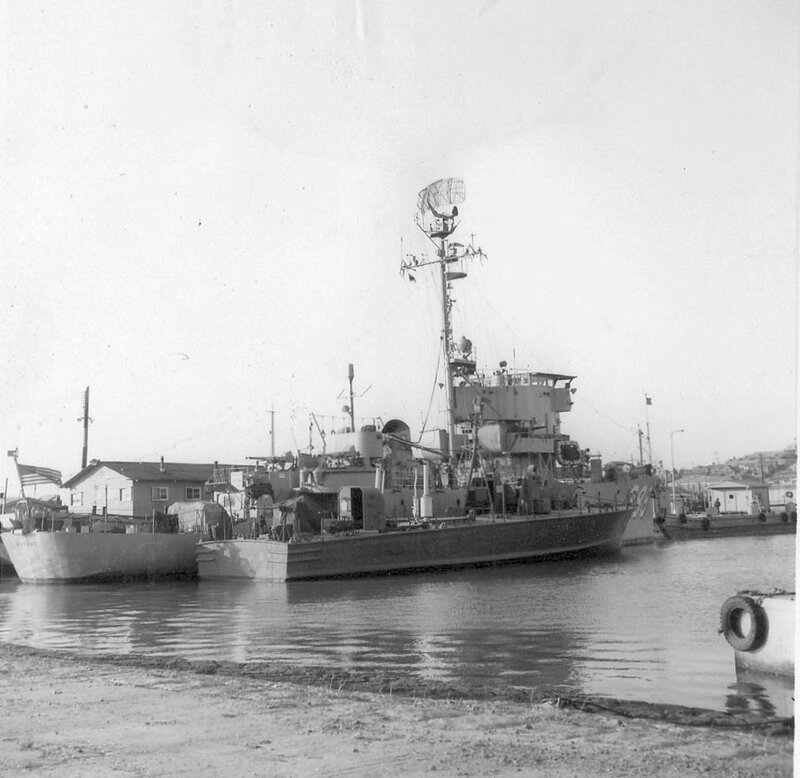 When the unit was created it was comprised of the Report, a 104' experimental PT boat - PT-812, three 65' aviation rescue boats and assorted other minor stuff. By the time I joined the unit one of its commanding officers had rendered the PT-812 inoperative by selling two of its four engines to persons unknown - an action which got him at least booted from the area. There were two remaining ASR's which periodically went to sea, and the Report had occasional voyages for various purposes. For various reasons we were considered one of the secure areas in the Pacific Theater to have high level meetings, and on rare occasions various high level personal came aboard and we sailed out into the Yellow Sea for a day. When President Johnson visited Seoul, Korea we were assigned to guard the port of Inchon. We moored the Report in the wide entrance to the port and had the two ASR's's stop every vessel entering the port. At the end the Report and PT-812 were given to the South Korean Navy. The two ASR's's were given to the South Korean Police, who already had a number of the same class boats. For a short few years the Report had the distinction of being the only commissioned man-of-war in the U.S. Army. The ship's captain was an Army Warrant officer from the Transportation Corps whose career had included a lot of time at sea in very large tug boats. The commanding officer of the unit was a U.S. Army Captain whose background was Army Intelligence.